Montego Bay all inclusive resorts are famous for presenting you with great economical packages for your vacation travel and accommodations. This area boast the largest number of guest rooms of any resort area in the island. Most of these hotels are located along Gloucester Ave., with deluxe resorts situated on their own beaches east of the town at Ironshore and Mahoe Bay. Montego Bay is your hotspot to duty free shopping with picturesque landscape which will attract you and thousands of tourists like yourself every year. If you are looking to come to MoBay, are ready to immerse yourself in the beauty and magic of the pristine Caribbean waters and cool trade winds that is eagerly awaiting to welcome you. 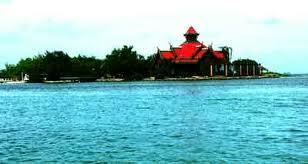 Then you should be on the lookout for the best place to stay at with the best prices. Here are a few Montego Bay, Jamaica all inclusive resorts for your consideration. A superb all-inclusive, couples only resort for rekindling your romance while having fun snorkeling, sailing and sunning to your heart's content. Amenities include four swimming pools, five tennis courts and four whirlpools, four restaurants offering an amazing dining experience, friendly staff and at a beautiful location. The all-inclusive package includes anytime meals and snacks, all alcoholic and non-alcoholic drinks, daily maid service and land sports like table tennis, volley ball, indoor games and basketball. Also included at this beautiful Montego Bay all inclusive resort is all non-motorized water sports. This is one of the Caribbean's grand hotels with lots of activities, excitement, amenities, restaurants and beautiful beach. Conde Nast Traveler states that this resort is one of the top 25 tropical resorts. A luxurious treat among Montego Bay all inclusive resorts. Half Moon sits on 400 acres of stunning tropical setting at Rose Hall and also highly acclaimed as an Eco-sensitive resort. Accommodations include conventional hotel rooms, suites, and a collection of superbly accessorized private villas. Most of the villas have their own private pools and a full time staff for your comfort. Amenities include four squash courts, a par-72 eighteen hold golf course with every for a golfer, excellent meals in gourmet dining, or specially prepared meals by your Chef. Duty-free shopping, superlative equestrian center, dolphin lagoons and a kid's village where your children can enjoy many fun activities. Couples-only, any combination, Sandals Royal Caribbean and Private Island tranquil resort has it own private beach and still indulge in some British colonialism... And that is formal tea in the afternoon. 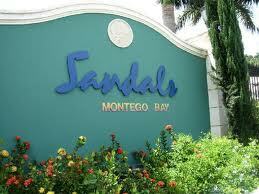 Sandals All Inclusive Montego Bay Hotels . A couples only all inclusive resort, with its own private island and beach is located about four miles from Sangster International Airport. You are provided with complimentary transportation to and from the hotel. This is one of Sandals group of Montego Bay all inclusive resorts that provides you with amenities like: Spa services, six restaurants for you to choose from each day, four whirlpools and swimming pools for your enjoyment... either for relaxing or having fun, room service complete with a mini-bar, and nightly live entertainment. Your rooms have internet service and television. A five-story hotel that overlooks Doctor's Cave beach with tastefully furnished room with views of either the beach or garden. Rooms range from intimate cabins to lavish suites. Rooms are are equipped with satellite TVs, in-room safes and CD players. Facilities include two restaurants, beach grill, four bars, rooftop Jacuzzi, a games room, tennis court, swimming pools, water sports, a well-maintained fitness center and a night club. You can look forward to exciting entertainment which includes theme nights. Other fun activities at this Montego Bay all inclusive resorts are windsurfing, scuba diving, kayaking, and sunfish sailing. Very easy to get to from Sangster International Airport. 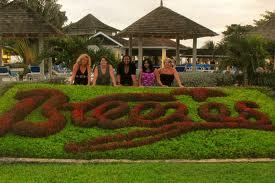 Above are just a few of Montego Bay all inclusive resorts. The city has so much to offer that can only be experienced by being here. So pack your bags, your kindle and books, and come enjoy a vacation like no other.